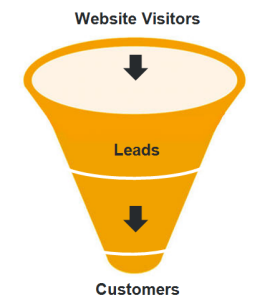 Lead Generation or Demand Generation? It's All Just Content Marketing! Last week, Eric Wittlake (@wittlake) wrote a great post called Lead Generation is Crippling Demand Generation where he argued that these two marketing activities were working against each other due to the different outcomes each is trying to achieve. Many marketers lose focus on the bigger picture as they chase more leads. They throw registration forms in front of their content without thinking about earning the right to build an engaged audience that will return to you when they are ready to buy. Too often we think about how to capture people in our nets instead of helping them along their buying journey. Eric generally produces the most thought-provoking articles, and this one got me to thinking that we need a new term to describe the whole process. I think the rise of content marketing as a hot topic in B2B Marketing is partly due to this struggle. So instead of lead generation or demand generation, content marketing might be the term to use. In the comments, Ardath Albee correctly pointed out that “leads” do not always have to equal contacts who filled out a registration form. But even with this clarification, I think Eric’s larger definition applies. Many marketers focus on leads instead of the larger demand picture. And they do this because, well, because that’s how they are measured! But can we truly “generate demand” or is our job as content marketers to harness demand by helping our buyers? I think if you’re selling candy bars, you can tap into people’s desires to self-medicate with food by showing them a picture of a delicious candy bar. But in B2B Marketing, aren’t we just educating people that we have solutions to problems they either know they have or we are educating them that they have a problem, (and thus we have the solution). But they are still in control. So I think content marketing is an attempt to cover both lead generation and demand generation. But it is all about managing that demand to produce more engagement, with more people, earlier in the buying process and earning the right to see them continue their journey with us. In the end, I agree with Eric’s point that the terms Lead Generation and Demand Generation should not be used interchangeably. But I think we should combine them into the holistic term of Content Marketing. And we need to adjust how marketers are measured. We need to generate leads. We need to harness demand. And we can only do this with a sound content strategy and cost-effective, inbound marketing approach. I completely agree and this is a great follow-up to Eric Wittlake’s article last week. I think the problem occurs when quantity tops quality and then lead generation takes over. So, while you’re providing content as one should, it’s not quality content and won’t generate demand. This small slip up is also not differentiating your company from the competition. Providing thoughtful and educational material will both increase demand and lead to an uptick in sales leads. That’s it Josh! That is exactly the direction we are trying to go. I tend to agree with Eric as well. Sometimes we can easily gravitate towards splitting hairs. How I see it is that Demand Generation is the overall goal and strategy while Lead Generation is a tactical issue. The interchangeable use of both these terminologies thus cause confusion between the strategy goal and the tactical objective. Nice views here by you and Eric. Hi Tony, yes, one is the superset of the other…great point! Michael, great post. You’d mentioned in a comment on Eric’s Lead Gen article about using the term Content Marketing or Demand Management to cover both lead generation and demand generation. Despite not wanting to cloud the discussion, I do think that Demand Management would be a more specific and appropriate term for these two functions. In my view, Content Marketing is a broader term, that includes those mentioned within the buying funnel, but also employs content to support business drivers that live well beyond sale (post-sale product usage & customer support, loyalty / retention, and passionate subscriber / community content). Of course, cross sell and up sell are secondary considerations for most content produced at these stages, but when customer support content on a particular topic reduces call center activity / costs by x%, that is content marketing hard at work. That said, I very much agree with the POV that thinking about content marketing as it relates to the customer’s journey across the entire lifecycle is the right approach. While it may seem obvious, we often forget that our prospects and customers don’t care how our organizations are structured, or what our siloed goals are, and yes, our content marketing efforts are hampered by conflicting goals, as pointed out by Eric. Thanks Paul, as you saw, I eveolved my thinking a bit. The reason: I thought it might make sense to stick with a term people are already using rather than “create” a new term but I think you are right. Demand Management is more precise! 2 Million SMB IT buyers agree with you and Eric on this. 🙂 they can’t stand the lead generation obsession of IT vendor. The line you used ” And we need to adjust how marketers are measured” we need 10,000 “leads” this quarter. A number of IT vendors i work with are actually changing their whole approach to “lead generation” to the IT professional becuase of the push back to being forced to give up contact info. Loving this conversation! And I agree that content marketing is bigger than demand gen and/or lead gen, encompassing the full spectrum of communication goals and objectives. Great post. I think there an interesting parallel between the lead gen/demand gen thread above and the larger shift of offline/outbound marketing to online/inbound marketing. The big difference in the massive shift ($1 Trillion of marketing dollars in play) is that the offline world rewarded frequency of the same message over and over (print, radio, TV tactics) and the online world requires a conversation, active listening, and new appropriate content in near time. I/we think it will impossible to meet consumers new expectations by creating only original content as it will be too expensive and just too hard to think of something original and compelling every day – not to mention the cost of staffing the “social channel” for SMB’s. At http://www.scribit.com we think we have an interesting new approach that we are launching in the next few weeks and hope might be a piece of the puzzle. Love to hear the communities thoughts. Thanks for your comment. And I agree with you on the parallel. It’s the same forces at work. And I completely agree that created content only is NOT the answer. I think the future will see a massive shift in marketing resources who create content and free agents who are creating, curating and syndicating content on behalf of brands.